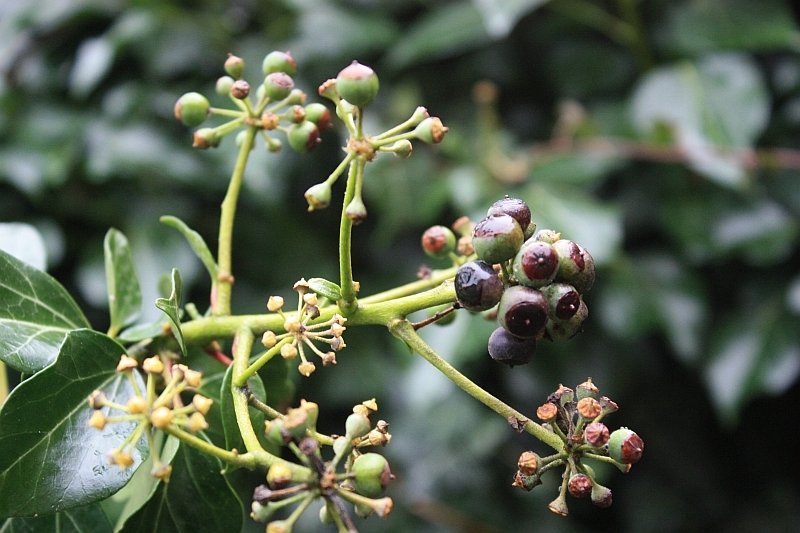 Ivy (Hedera helix) berries are the equivalent of an avocado for our garden birds.. because they are rich in nutrients and healthy fats. 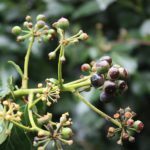 Ivy does get given a bad rap.. but planted against boundaries and allowed to flower and seed, Ivy really does benefit not only the garden birds, bats and bees, but us also, by enjoying their visits into our gardens. Ivy also provides a great nesting habitat for spring-time hatchlings, which are a joy to watch should you have a kitchen window as a vantage point. Ivy comes in many shapes and colours from solid green, to stripes and with red hues.. there really is an Ivy for all kinds of garden locations..
As a garden designer I am passionate about planting design and planting for pollinators. To find out more about my design work please visit my website Judi Samuels Garden Design.